Buying a new minivan or commercial van online? Perhaps you researched Consumer Reports or Car and Driver’s Best Vans and Minivans -- or found a great bargain in some other state, and now you need quotes from top van shipping companies for complete door-to-door van delivery. Whether you’re the buyer, the dealer or a seller, we make transporting your van affordable, easy, and available with peace of mind. How much does it cost to ship a van? Van transport costs ~$1 per mile for 1-500 miles. So, a 350 mile trip would cost $350. The longer the distance, the lower the price: moving a minivan ~1000 miles drops it to $.75 cents a mile, or $750. Coast-to-coast van transport can be as little as $.40 cents per mile. Van shipping quotes can vary based on your vehicle size, height, weight, modifications, speed of transport and seasonal demand. To ship a mobility van or transport a wheelchair van may cost a little more, because of potential special handling requirements. When you check on car or van shipping rates, you’re looking for savings. Yet you also know there are important details you can’t scrimp on. The best company to ship a van will not only give you a comprehensive quote, but be able to explain in plain English what factors determine your price – so you know you are getting good value. Top van and minivan shippers also guarantee your quote for long enough that you can shop around and verify you’re getting the best overall deal. In our case, quotes are good for a full 14 days, which is twice as long as most mobility van and minivan transporters. So, what exactly goes into a van transport quote -- aside from the obvious distance from Point A to B? The 2nd key factor is whether you choose to ship on an open carrier or in an enclosed trailer, followed by whether you opt for standard delivery with a slightly flexible pickup / delivery date of 1-2 days plus-or-minus, which helps drivers accommodate other customers in exchange for a somewhat lower price for you. Additional factors include the size of the vehicle, popularity of the route, and seasonal demand. For example, have there been after-factory modifications made to your van that changed its standard height, length or weigh? While we easily accommodate every situation, it’s important to let your Transport Coordinator about all modifications -- such as oversized tires, roof rack, gate lift etc. -- so we can send exactly the right carrier-truck. Popularity of the route and seasonal demand refer to the fact that transporting vans is similar to airline seats. Surprisingly, it can cost the same (or less!) to fly 2,500 miles from New York to Los Angeles than to fly from Minneapolis to Los Angeles. How can this be?! It’s because there are many dozens of flights originating in NY and LA every day, and those routes are more competitive among the airline carriers, while fewer airlines serve Minneapolis. The cost of loading and unloading passengers and luggage is the same for both short and long trips, so the additional miles in the air cost only a fraction more. It works the same with car carriers. But wherever your pickup or drop-t6off location may be, you can rest assured that we work hard to match the best drivers with lowest rates for your benefit – and our great reviews. How long does it take to transport a van, or ship a minivan? Van delivery takes between 1-6 calendar days from the date your van or minivan is picked up to when it’s dropped off. A driver usually covers about 500 miles per day. 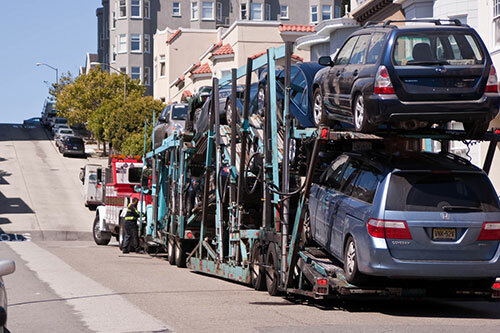 The first available pickup date is for auto transport is typically 2-7 business days after an order is placed, and express van transport is usually available within 24-72 hours. Whether you have a month, a week or even just a day’s notice, we can usually find a way to accommodate your schedule – especially if you can be flexible in certain other areas. Your Transport Coordinator can offer some creative options. 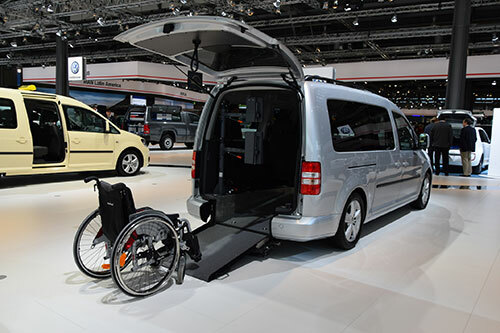 Transporting mobility vans, especially models like GMC Savana and Ford Transit Connect are among the most important deliveries we make – and we are especially conscious of the special needs, timelines and other constraints our customers face. Because transporting a wheelchair-ramp equipped vehicle can involve additional care and attention, we have a specialist on staff who is dedicated to serving customers who are receiving shipments, or arranging for the sale or purchase of such a customized vehicle, and some of the additional equipment that may be permitted to be shipped as part of the delivery. Nationwide van shipping reviews show that we know the van transport business, and our expert navigation of the system takes the stress off operations managers, team leaders and crew chiefs. You name it, we’ve done it – no job’s too big. That’s why we’ve handled truckloads of transports for large corporations that were relocating commercial vans, mid-size companies that needed to get a small fleet of sprinter vans to a hotel convention, and even small companies with everyday challenges that needed creative solutions at affordable prices. 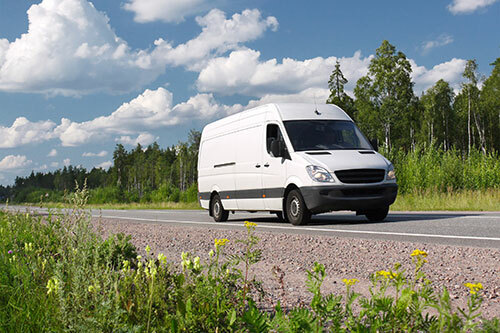 Whether you bought a van online after extensive Motor Trend research, or shipping job-related and a business expense or you’re shipping a custom-ordered van, you want someone with the best track record – a van shipping company that can be relied on to do the job quickly and reliably. Whether yours is a large corporate account or a one-time van vehicle shipment, we assign a designated Transport Coordinator as your main point of contact throughout the process. Of course, you’ll also have the assigned driver’s direct cell phone number – but we go the extra mile. You can count on reaching your specific Coordinator directly by name, without having to navigate a phone tree or have to repeat details to the next available operator. Just one example of what makes transporting a van with Easy Car Shipping the preferred choice for so many companies and individuals every day.